I joined Twitter (@jonworth) just over five years ago. Now with 40659 tweets, 9665 followers, and following 4641, I have accumulated a fair amount of experience using the network – and that’s just with my own personal account, let alone the dozens of accounts I have for other purposes. I’ve never bought any followers, and think I have managed to build a following through being fair, responsive to questions sent my way, and hopefully somehow useful to the people that follow me. But yesterday at an event in Odense in Denmark I was asked for ideas about how to make the first steps on Twitter, and to build a useful network. How, I then wondered, would I do it were I, as an individual, to be starting from scratch? This is my best effort to answer that question. 1) What do you care about, and know about? In short: it is not as simple as it initially seems. And there is a super guide to who sees what on Twitter, entitled “Mom [sic] This Is How Twitter Works” – it’s worth reading. I only learned a few of the things in it years after starting on Twitter. How you present yourself on Twitter matters. It can determine who follows you back (see below), and sets the tone for your use of the network. A user that has just a picture, and no biography or link, is much harder to gauge than one that does. 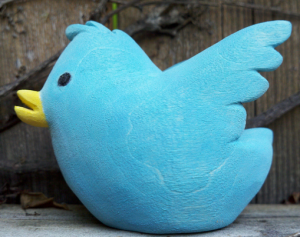 Make other Twitter users’ job easier – say what you are about, and more people will follow you. I’ve written a guide to how to design a Twitter profile for a politician here, but the same could apply to any account. Twitter allows you to follow up to 2000 accounts initially*. When you yourself get 2000 followers, this limit is lifted. But initially you will need to live within the limit. But be liberal with the people that you follow – anyone interesting and relevant to your fields of interest is worth following, and also try to aim to mix high profile and ‘normal’ people – the latter are more likely to follow you back and engage with you (but will use your Twitter biography to work this out – see 3) above). If you follow more than 1000 accounts Twitter soon becomes complicated to manage, so break down your followers into Twitter lists. Here’s Twitter’s page about lists, and a more detailed explanation from me. You can use Lists to establish a kind of two-stage filter – follow anyone that might be interesting, and add all the really interesting ones to lists. Remember that Twitter is not reciprocal – if you follow someone, that person does not have to follow you. But most Twitter users will cast an eye over their new followers and consider whether to reciprocate. 5) Think about now. Not 5 minutes ago, or 5 hours ago. You are going to miss things on Twitter. The network is about the here and now. If you worry about this you will get bogged down. So think about what’s happening on Twitter right now, not what you might theoretically have missed a while ago. If it’s still important people will still be talking about it. And if they think it might have been important to you, someone will probably have told you – which also underlines the only exception to this rule: always pay attention to your Twitter Mentions (otherwise known as @replies) – these are the way people are trying to attract your attention, and most of the time this is welcome. You should rarely return to Twitter.com, as the functions there are limited. Twitter itself offers applications for mobile devices, and TweetDeck for advanced users of Mac and Windows, but even that – because it is owned by Twitter – prioritises what Twitter wants you to see, and may want you to see in future, rather than what you want to find. So use a Twitter app from a third party, even if you have to pay something for it. I am personally a devotee of Tweetbot for both Mac OS and iOS, and the two synchronise. On Windows try Janetter or MetroTwit. Janetter is good on Android too. All of these apps restrict or eliminate ads from Twitter, and also give you list management direct within the app. You might also consider Hootsuite, but for personal use its extra features do not make up for the clunky interface. How far do your messages go on Twitter, and how often are you retweeted? Basic link tracking and statistical analysis can help you work this out, and hence start to refine what works and does not work on Twitter. I personally use bit.ly link tracking (that can be built into Tweetbot), and use SumAll and Klout to see how far my messages go. I use the free version of SocialBro to analyse my followers. Having said that, all of that is secondary to actually getting online and engaging with people on Twitter. * – it is possible to add people to Twitter lists without actually following them. But do this only for news accounts, as if you follow a person that person may be inclined to reciprocate. That is less important for organisational or news accounts. The Atheist bus campaign would seem to show that social media can help intelligent people with a common interest can achieve great things. This is obviously a social good. However, the same tool also enables to demagogues and the mob to connect with potentially less favourable results. The fact that you use filters to avoid populist topics would seem to highlight this point. I guess however on a bigger point you are right. Had a wanted to use social media on a specific means (eg. a political agenda of some sort) and filtered out the rest then I might have been less disappointed. However, I’m not particularly political (in the tribal sense) nor do I have any particular political goals (my opinions on many subjects have flipped multiple times as I have aged). Instead I came to twitter out of boredom, curiosity and a desire to follow the debate. The conclusion I came to was whilst there were cliques of bright people developing good ideas, the vast majority of the twitterverse was filled with a tsunami of stupidity. Picking out the high points from the noise takes some good filtering skills. After a year or so on twitter I concluded I lacked the energy, intelligence, vision (and time) to be part an effective and useful twitter activist. Meanwhile the general twitter noise (that I was effectively part of) I found depressing to the extent that I decided I was better off avoiding it. @James – I think you are the victim of Twitter’s excessive commercialisation there. Twitter – as a company – wants you to follow famous people and brands as it can make money out of that by selling ads and promotions. On the question about Hala Gorani – yes you could theoretically e-mail her, but I’d bet that e-mail would be intercepted by an underling in CNN before it reached her. If a famous person is using Twitter themselves then it can offer a direct way to reach them – Swedish Foreign Minister @carlbildt is a good example of this. However back to the wider point: you need to manually work out who to follow on Twitter, and not rely on Twitter’s suggestions. Whatever it is that you care about, or do on an everyday basis, there will be people debating and discussing that on Twitter and you need to find them. Twitter won’t do that automatically for you. @Paul – if that’s your experience of Twitter, I think you’ve been doing something seriously wrong. All of the downsides you list to the impact of social media on politics are balanced by many positive changes. Allowing anyone to have a voice, whatever that voice is, is a good thing in my view. Take the Atheist Bus Campaign, the biggest thing I have ever done. I as a blogger read a column on Comment is Free, and helped build a campaign that changed the face of the debate about atheism in the UK – for good. Prior to the internet and social media I would be sat here shouting at the TV or radio, and not armed with the tools to actually do something to change the narrative. The story of this blog is similar – one of the reasons I started it was because I was sure I could write more accurately about the EU than the UK’s mainstream media does, and I think I have broadly achieved that over the 8 years it has been running. Also bear in mind I am quite ruthless in the way I personally use Twitter. I have dozens of keywords simply filtered out, including *anything* from the Daily Mail, and anything to do with the UK royal family. Just as I would never pick up the Daily Mail at a news stand, so I do not want to see it online either – I just need to be a bit more savvy online to make sure this is so. I registered on Twitter, obtained a username and password and then tried to send a message to Hola Gorani/CNN International Desk on 2 subjects pertinent TODAY. But could not fathom how to do this. I am NOT interested in developiong a ‘following’. simply need to ask a Why Not? question. Am I on the right track? Why cannot I not simply email HG? Grateful a response. As a fellow Brit and pro European I have given up on twitter completely and killed my account. In fact I’ve become convinced that the rise of twitter, comment boards and the political rise of UKIP are all a related phenomena. Fundamentally all three ignore complexity and this results in the politics of simple (and wrong headed) solution. Previously for people to gain influence they had to work their way up through business, the media or local politics. This at least gave people who were in a position of influence some awareness of the complex business of making big decisions. In effect the UK had a separate class of political grandees who could largely see the bigger picture. Obviously there were always populist in the world of politics (for every Hestletine or Ken Clark there was a Norman Tebbit) but UK politics managed to keep them in check. The disconnect between the population and the politicians meant there was some scope of leadership rather than simply following the crowd. I honestly think the best thing that any political party can do is start making the case that politics is a complex business. I appreciate this is perhaps not what social media evangelists who think inclusion is the key to everything want to hear but the best thing a politicians could do is actually start explaining decisions, provide data and generally bore all but the motivated out of complex decisions. This will hopefully start to expose the demagogues peddling simplistic and wrong headed solutions for the fools they are and create the space that politicians need to actually provide some thought leadership. Hi Jon, as someone who has been dipping in and out of Twitter for the last couple of years (and never quite having had the feeling that I knew what I was doing), this is a really helpful guide. Thank you. I quite regularly come into contact with people who want to start using Twitter but who don’t know where to start, so I will point them in this direction. I also encounter another group of people, those for which Twitter would be really useful, but who are put off because they think it is celebrity nonsense or vane self-promotion. The challenge for this group I think is that they don’t put enough time in and so they end up with just the surface. Again, your steps will help. And some will never get it, and that’s ok too! One addition: We can also use existing lists, made by others, to follow people in our area of interest. For instance, I check the EU list by @karmel80 daily, thus finding EU needles in my general haystack more quickly.